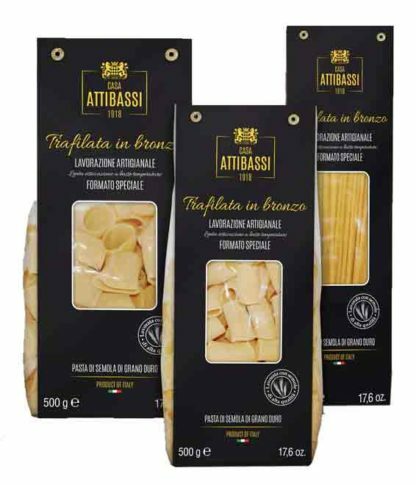 The special Pasta selection of Casa Attibassi is still today produced using traditional preparation methods which require considerable time and dedication. 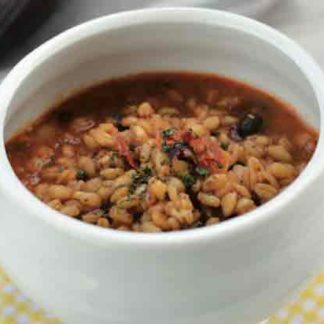 The result is a pasta with an old time flavour: echoing the taste, aroma and consistency of homemade pasta. Made by the third generation of a century-old tradition of pasta craftsmanship. ARTISANAL PROCESSING: Slow techniques, slow doughs, with manual kneading, spreading, cutting and shaping, extruded through bronze and a gently natural drying process in static cells. Stockist/Retail enquiries: please contact us. Minimum order Cartons of 10, 12 & 30 packages. 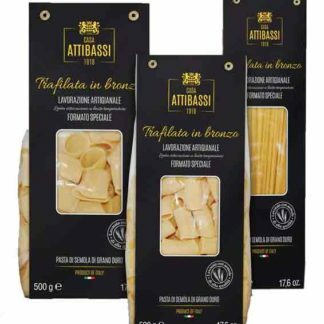 Casa Attibassi selects the very best Italian gastronomic specialities: traditional products of the highest quality… the kind of quality you could never find in a supermarket. 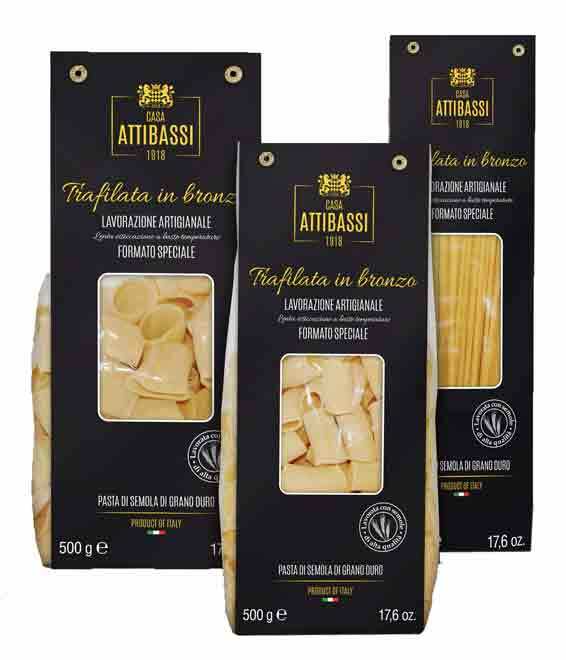 The Casa Attibassi range can only be purchased in the best gastronomic specialist shops, or online. 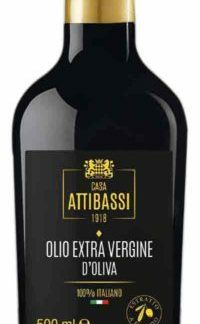 Cassa Attibassi also produces typical Italian products (olive oil, truffles, sauces …) of very high quality, not available in Supermarkets. We reproduce the natural drying that once took place in the light of the sun and in the wind, slowly for about 36 h at low temperature. 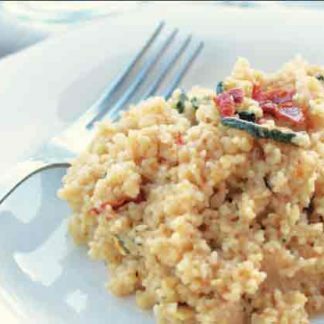 This technique allows us to preserve all the nutritional values of the semolina: maintaining proteins, antioxidants and fiber; essential for a healthy diet and the digestibility of our pasta. We use only high-quality durum wheat semolina, extracted from the heart of the grain of wheat, amber yellow color to high tightness during firing, the characteristic flavor and by the almost total absence of black tips. The quality of proteins and uniform granulometry allow to develop maximum semolina characteristics such as taste and smell of pasta. The bronze dies represent for us the artisan pasta tradition; associated with a very slow processing and extrusion and the constant care that we devote to them, to give the pasta a rough surface and porous, can pick up all the flavours and colours of the seasoning.